In this brilliant collection, the follow-up to her New York Times bestseller Reading Like a Writer, the distinguished novelist, literary critic, and essayist celebrates the pleasures of reading and pays homage to the works and writers she admires above all others, from Jane Austen and Charles Dickens to Jennifer Egan and Roberto Bolaño. 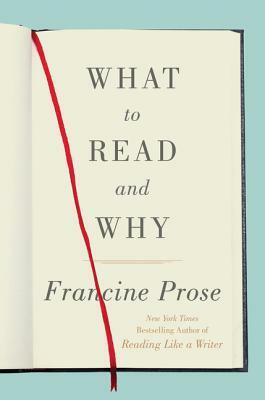 In an age defined by hyper-connectivity and constant stimulation, Francine Prose makes a compelling case for the solitary act of reading and the great enjoyment it brings. Inspiring and illuminating, What to Read and Why includes selections culled from Prose’s previous essays, reviews, and introductions, combined with new, never-before-published pieces that focus on her favorite works of fiction and nonfiction, on works by masters of the short story, and even on books by photographers like Diane Arbus. Prose considers why the works of literary masters such as Mary Shelley, Charles Dickens, George Eliot, and Jane Austen have endured, and shares intriguing insights about modern authors whose words stimulate our minds and enlarge our lives, including Roberto Bolaño, Karl Ove Knausgaard, Jennifer Egan, and Mohsin Hamid. Prose implores us to read Mavis Gallant for her marvelously rich and compact sentences, and her meticulously rendered characters who reveal our flawed and complex human nature; Edward St. Aubyn for his elegance and sophisticated humor; and Mark Strand for his gift for depicting unlikely transformations. Here, too, are original pieces in which Prose explores the craft of writing: "On Clarity" and "What Makes a Short Story." Written with her sharp critical analysis, wit, and enthusiasm, What to Read and Why is a celebration of literature that will give readers a new appreciation for the power and beauty of the written word.